In December of 2010 I sold my Solo Plus and in July of 2011 I sold my old tandem canoe to make room for a new canoe that I hoped would fulfill my desire for a larger, more efficient, more wave-hardy solo canoe. After months of research I ordered a Bluewater Mist from Peter Harris at Pacifica Paddle Sports in Victoria BC, Canada. In previous posts I wrote in some detail about how I finally decided on the Mist, and here, over a year since I began to paddle the canoe, I give a detailed review of the experience. I received the Mist towards the end of August, 2011, and was disappointed to discover a number of flaws with the hull which included manufacturing defects and damage from shipping. Both Peter at Pacifica Paddle Sports and Bluewater representative Brent Wood were quick to acknowledge the flaws and Brent offered a new boat to replace the one I had received, allowing me to paddle it until the new one arrived. 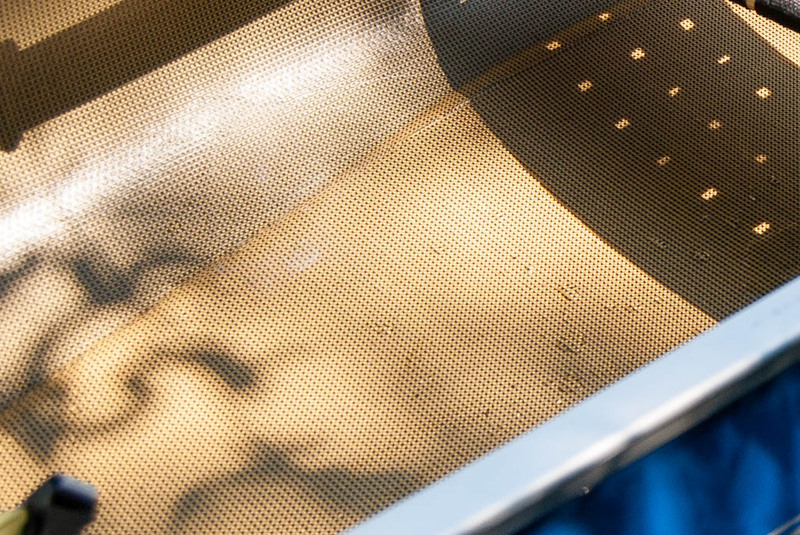 I asked if the skid plates that were installed on the first canoe could be left off the second canoe, and was assured the new one would be skid-plate free. Putting skid plates on a performance boat like this seems like slapping cheap all-season tires on a Ferrari. Upon hearing that I was looking for a foot brace and a lower seat, Brent also offered to customize the boat to fit my wishes. Over the fall, winter, and spring I paddled the "first" Mist and earlier this summer I received the replacement boat. Along with the promised foot-brace and lower seat I was delighted to discover that the layup was done with a new carbon/kevlar material which looks nicer and feels like it reduces the weight by around 4 or 5 pounds. The foot brace was exactly where I had asked it to be and the seat height precisely as requested. I believe that the boat was flawless leaving the build site, but unfortunately the transportation from Ontario to British Columbia gave the hull a good number of scratches, gouges, and dings. So, regarding Bluewater as a company, A+ for responsiveness to customer concerns, A+ for quality of build (second time around), and C- for shipping and timely delivery. 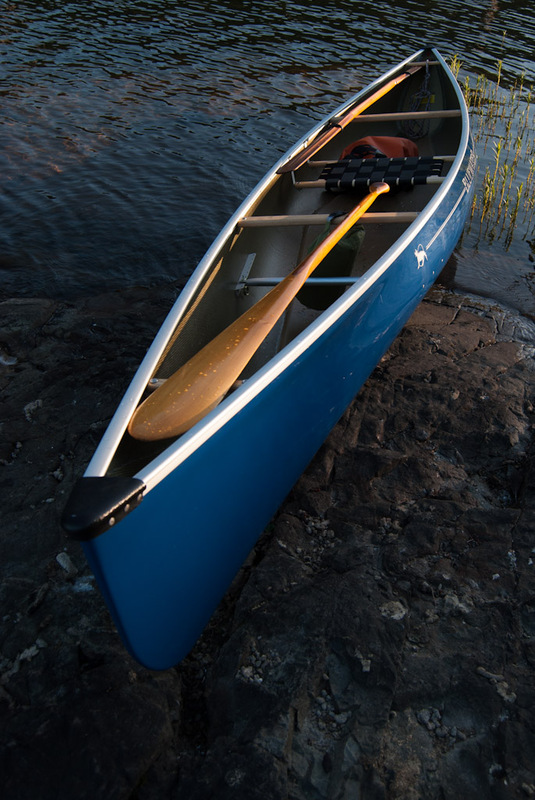 Mid-Canada Fiberglass, the parent company for Bluewater, also makes Scott Canoes and Impex Kayaks. The three businesses combined make MCF "Canada's largest canoe and kayak manufacturer" according to longtime retailer Frontenac Outfitters. It seems curious to me that a company of this size had such trouble getting the boat to Victoria -- over 10 months and many dings in the process. 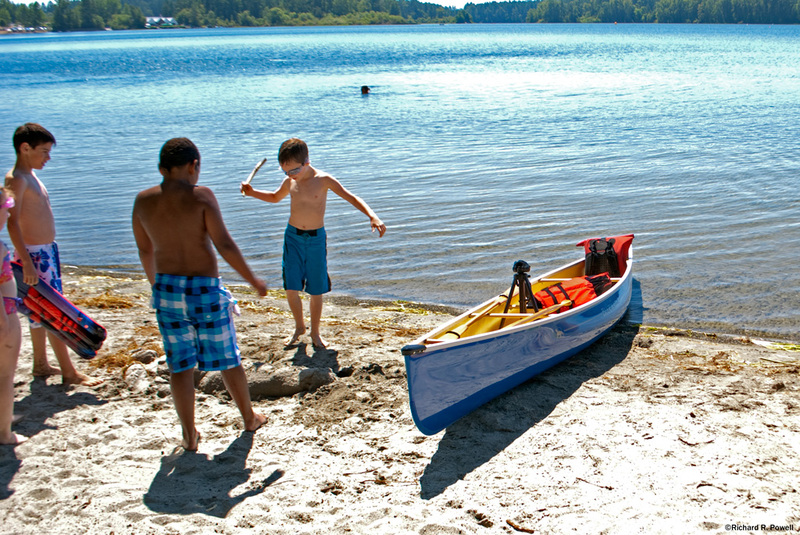 I know that shipping is a major challenge with canoes, and I have heard numerous horror stories about canoes from many manufacturers, not just MCF. It just seems sad to me that a boat of this value and quality receives such harsh treatment before it ever sees the water! 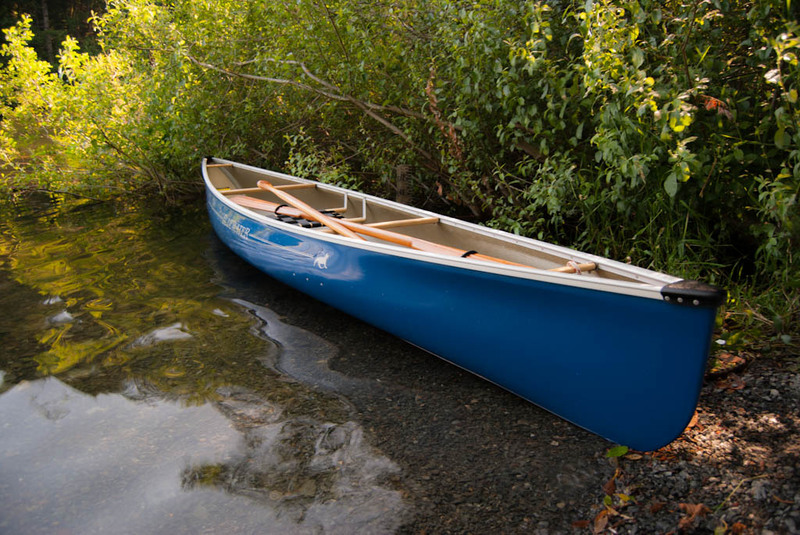 Regarding the build of the canoe -- while the first one was clearly not a good representation of the company's abilities, the second one is a thing of beauty and extremely well made. It is made with what I presume is the "Ultralite Carbon Kevlar" fabric and I have to say I really love it. Aesthetically it catches everyone's eye and for the type of paddling I do, the weight benefit is a big deal. I believe that the Ultralite Carbon Kevlar adds several hundred dollars to the price of a canoe, so I feel more than compensated for my transportation dings. Lastly, I have to say that I particularly like the style of aluminum gunwale used by Bluewater, with the hidden rivets and smooth substantial feel. All and all the boat presents as a thing of quality and performance. My Mist cost $3,016.16. 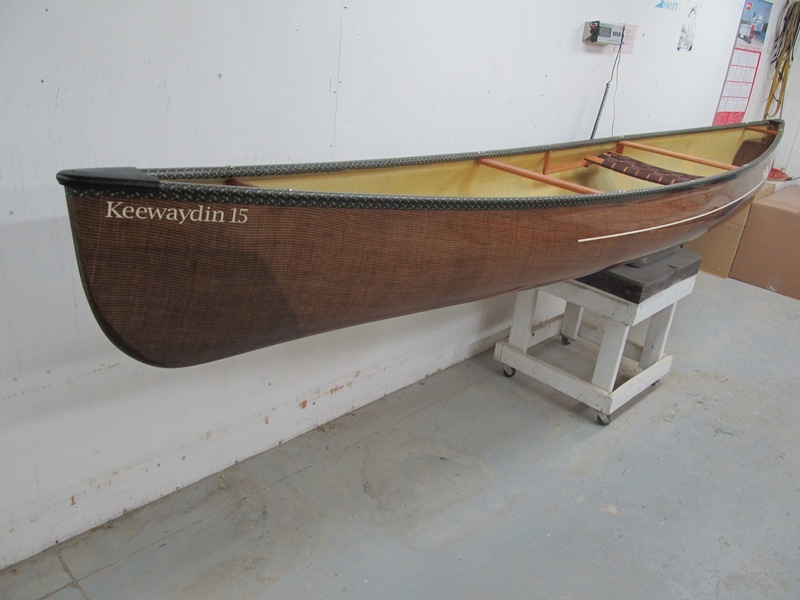 That includes $343.00 for shipping and $323.16 in taxes.Compared to the other boats on my list it ended up being more expensive than I anticipated, but in line with it's nearest competitor, the Swift Keewaydin 15. Both the Wenonah Argosy and Clipper Packer, would have been significantly less expensive and I know for sure that I would have been happy with the Packer. The Packer is, however, still shorter and less wave-hardy than the Mist. The first day I paddled the Mist I was perplexed by the difference between what I had read and what I experienced. The hull was efficient, but not as fast as I had hoped for; and the stability was also less than I had expected. I soon discovered, however, that it was because I was paddling the boat in a way that did not bring out it's inner strengths, so to speak. The Mist begs to be paddled "hit and switch" style from the kneeling position. Once I shifted to this position the merits of the hull became immediately apparent. Here is a video of me paddling on Spider Lake. Note my sitting position and how at different times I lean forward, shifting my weight to my knees, to really get a good grip on the water for power strokes and turning. Thanks to Paul for the able camera work! In the silhouetted shot on the beginning of the next video you can see that I eventually learned to perform a standing draw and other maneuvering strokes in this minimally rockered canoe. Once I discovered that the boat likes the weight slightly forward (in calm conditions), and can be leaned moderately in a brace or draw I began to love the feeling of control that had initially eluded me. Charlie Wilson warned that the boat was wet because of the "bubble" sides and said that it was tricky to heel over. I found this to be true, but discovered that I could heel it over a bit without freaking out, and while the minimal heeling did not produce the kind of turning results other more highly rockered canoes would deliver, it gave great access to the water and a solid feeling of control. In a thread on the Canadian Canoe Routes forum Charlie said, "Outside heels, often not quite to the rail, start the bow carving into the turn, so the hull comes around more smartly." I have yet to master this maneuver. In fact, despite my knowledge of psychology and the way that we grow to justify our decisions and like our purchases more over time -- even if they are not the best -- I think I can say that I have retained some objectivity in the matter. I suspect that I might have been more impressed with the Swift Osprey or Keewaydin 15, as my preferred activity involves a lot of maneuvering and poking into nooks and tight places, but I sure appreciate the straight ahead tracking of the Mist when crossing large water, especially large windy water! I have a technique I use now in which I pull out my Alton Aleut paddle and lean forward to cut down on windage and motor at a high cadence till I'm across the worst of it. Then I stow the double and take out my single again for pleasurable cruising. 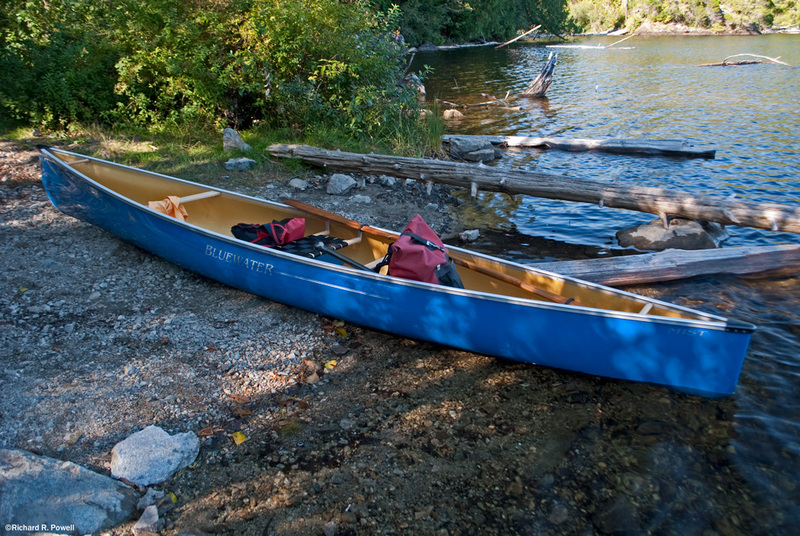 This is what I had envisioned for this canoe, and it has proven to facilitate comfortable paddling on larger lakes. 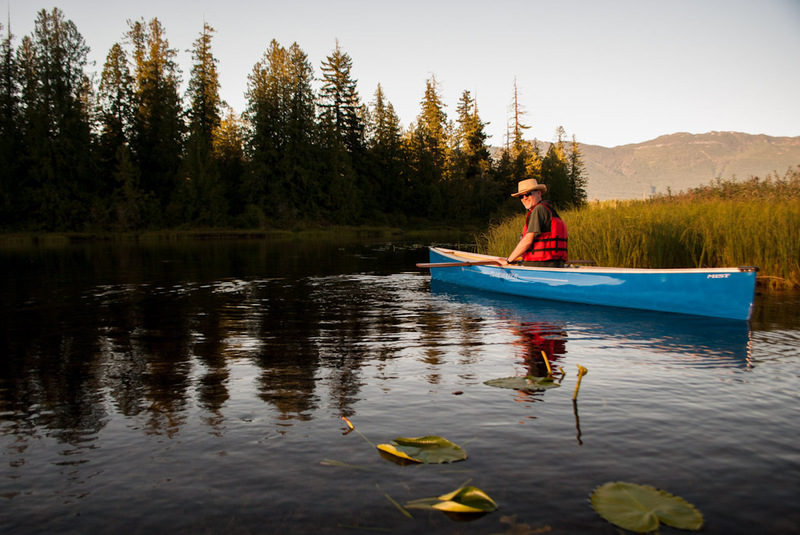 Can be paddled with speed using a double blade, especially an Aleutian style with a high cadence stroke. Designed for "hit and switch" paddling in the kneeling position, so sitting can feel unstable in rough water. Lack of good shipping method to Western Canada. 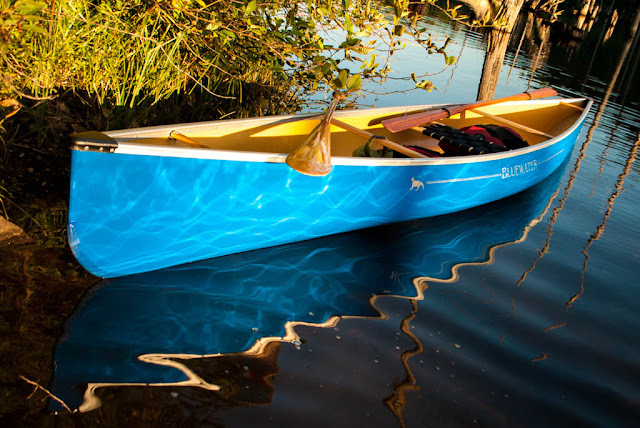 So, despite the problems with the first boat, and after giving the hull a long trial period, I can say that of all the canoes I have tried so far it is my favorite. I like it better than my Spitfire and better than the Rapidfire because there are multiple options for sitting/kneeling and it is well suited to both double and single blades. It feels fast and responsive and just downright fun to paddle. I can sprint in it with a double blade or cruise for hours doing the Indian stroke with seemingly minimal effort. It turns reasonably well, though this is it's weakest quality. It looks classy with a unique style that sets it apart from other boats on the water -- certainly eye candy for me. One observer commented that it had a "pug nose" which I assume was in response to the relatively wide run just forward of the paddling station before it abruptly narrows to the end. It is light, durable, and not too long to fit in my small house. That's right, I have it on the wall of my office, along with the Spitfire. Despite other newer designs this proven and slightly unusual design holds it's own. I will NOT be selling this one any time soon. Hi Richard, nice review. Full. Looks and sounds like a beautiful canoe. John.